Passion fruit cream adds excitement to this profiterole recipe from Paul Heathcote. 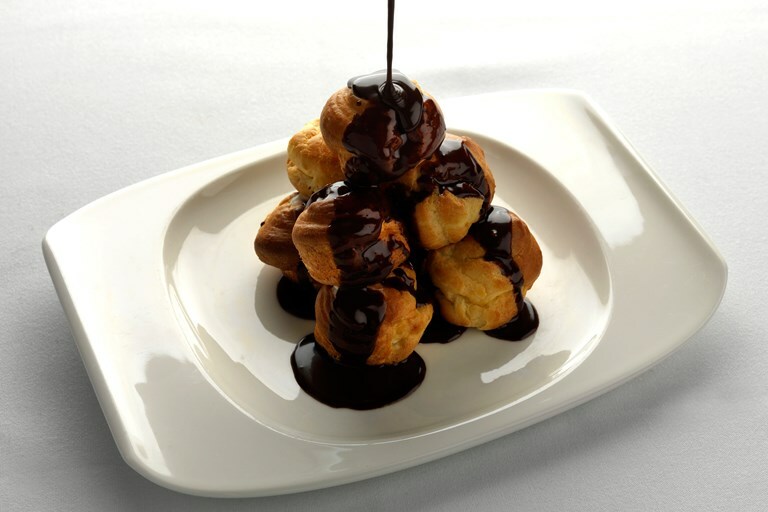 Making choux pastry is not the easiest process but if you follow our 'how to' film you won't go far wrong. The chocolate sauce included in this recipe can be a decadent addtion to many other sweet treats.